US Space Command was created in 1985, but America's military actually began operating in space much earlier. With the Soviet Union's unexpected 1957 launch of the world's first man-made satellite, Sputnik I, President Eisenhower accelerated the nation's slowly emerging civil and military space efforts. The vital advantage that space could give either country during those dark days of the Cold War was evident in his somber words. "Space objectives relating to defense are those to which the highest priority attaches because they bear on our immediate safety," he said. During the 1960s and 1970s, the Army, Navy and Air Force advanced and expanded space technologies in the areas of communication, meteorology, geodesy, navigation and reconnaissance. Space continued to support strategic deterrence by providing arms control and treaty verification, and by offering unambiguous, early warning of any missile attack on North America. On September 23, 1985, the Joint Chiefs of Staff confirmed the ever-increasing value of military space systems by creating a new unified command - US Space Command - to help institutionalize the use of space in US deterrence efforts. The US-led coalition's 1991 victory in the Persian Gulf War underscored, and brought widespread recognition to, the value of military space operations. Communications, intelligence, navigation, missile warning and weather satellites demonstrated that space systems could be indispensable providers of tactical information to US warfighters. Since then, US Space Command has further strengthened its focus on warfighting by ensuring that Soldiers and Marines in the foxhole, Sailors on the ship's bridge, and pilots in the cockpit have the space information they need - when they need it. 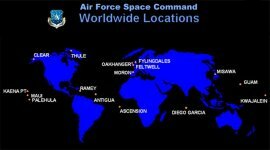 Air Force Space Command (AFSPC), created September 1, 1982, is one of nine Air Force major commands, and is headquartered at Peterson Air Force Base, CO. Missile warning and space operations were combined to form Air Force Space Command in 1982, the same year NASA launched the first space shuttle. During the Cold War, space operations focused on missile warning, and command and control for national leadership. In 1991, Operation Desert Storm provided emphasis for the command's new focus on support to the warfighter. ICBM forces were merged into AFSPC in 1993. AFSPC defends America through its space and intercontinental ballistic missile (ICBM) operations, vital force elements in projecting global reach and global power. AFSPC is a key factor in implementing the expeditionary aerospace force organizational structure. Air Force Space Command has two numbered air forces. Fourteenth Air Force provides space warfighting forces to US Space Command, and is located at Vandenberg AFB, CA. Fourteenth Air Force manages the generation and employment of space forces to support US Space Command and North American Aerospace Defense Command (NORAD) operational plans and missions. Twentieth Air Force, located at F.E. Warren AFB, WY, operates and maintains AFSPC's ICBM weapon systems in support of US Strategic Command war plans. The Space Warfare Center at Schriever AFB, CO, is also part of the command. The center plays a major role in fully integrating space systems into the operational Air Force. Its force enhancement mission looks at ways to use space systems to support warfighters in the areas of navigation, weather, intelligence, communications and theater ballistic missile warning, and how these apply to theater operations. The center is also home to the Space Battlelab. AFSPC is the major command providing space forces for the US Space Command and trained ICBM forces for US Strategic Command. AFSPC also supports NORAD with ballistic missile warning information, operates the Space Warfare Center to develop space applications for direct warfighter support, and is responsible for the Department of Defense's ICBM follow-on operational test and evaluation program. 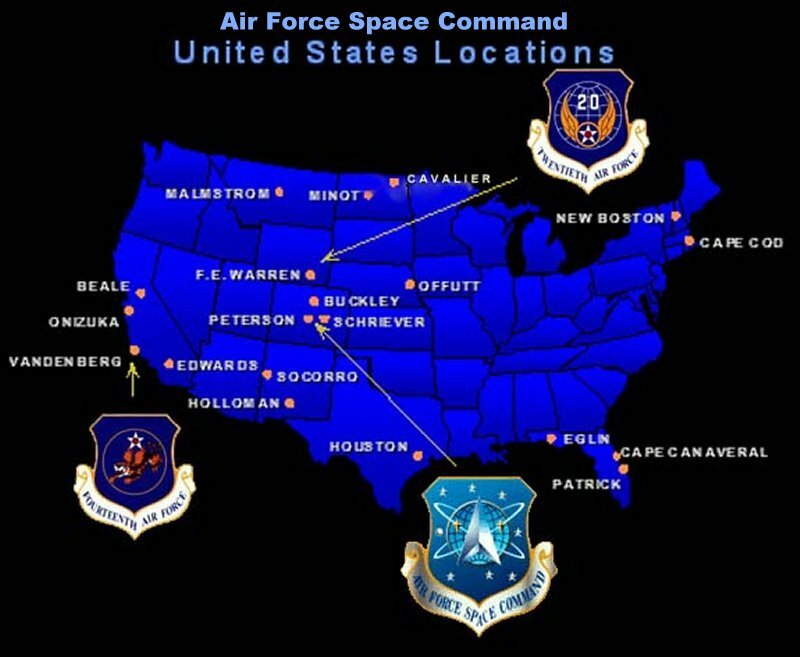 AFSPC bases and stations include: Cheyenne Mountain Air Station, Schriever and Peterson AFBs and Buckley Air National Guard Base, Colo.; Onizuka AS and Vandenberg AFB, CA; Cape Canaveral AS and Patrick AFB, FL; Cavalier AS, ND; F.E. Warren AFB, WY; Malmstrom AFB, MT; Clear AS, AK; Thule AB, Greenland; and Woomera AS, Australia. 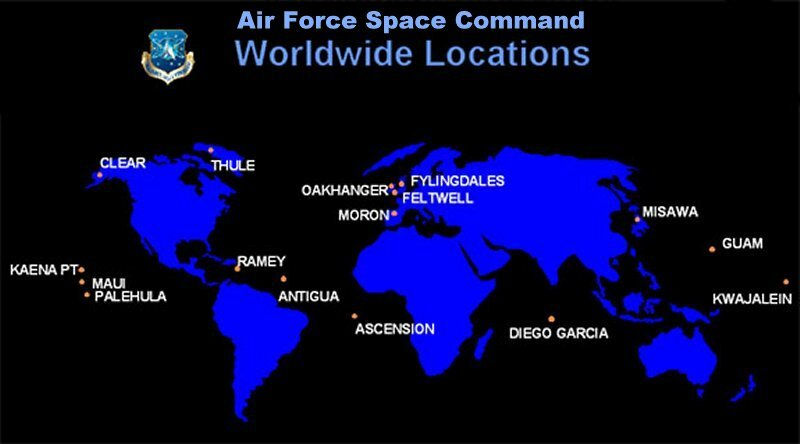 AFSPC units are located around the world, including Japan, the United Kingdom and Germany. Spacelift operations at the East and West Coast launch bases provide services, facilities and range safety control for the conduct of DOD, National Aeronautics and Space Administration (NASA) and commercial launches. Through the command and control of all DOD satellites, satellite operators provide force-multiplying effects -- continuous global coverage, low vulnerability and autonomous operations. Satellites provide essential in-theater secure communications, weather and navigational data for ground, air and fleet operations, and threat warning. Ground-based radar and Defense Support Program satellites monitor ballistic missile launches around the world to guard against a surprise attack on North America. Space surveillance radars provide vital information on the location of satellites and space debris for the nation and the world. With a readiness rate above 99 percent, America's ICBM team plays a critical role in maintaining world peace and ensuring the nation's safety and security. The ICBM force consisted, as of mid-1999, of Minuteman III and Peacekeeper missiles that provide the critical component of America's on-alert strategic forces. As the nation's "silent sentinels," ICBMs, and the people who operate them, have remained on continuous around-the-clock alert since 1959 -- longer than any other US strategic force. As of 2014 454 Minuteman III ICBMs were on alert in reinforced concrete launch facilities beneath the Great Plains. AFSPC is the Air Force's largest operator of UH-1N Huey helicopters, responsible for missile operations support and security. As of June 1999, approximately 37,200 people, including 25,800 active-duty military and civilians, and 11,360 contractor employees, combine to perform AFSPC missions. Space forces support involves launching satellites and other high-value payloads into space using a variety of expendable launch vehicles. It also operates those satellites once in the medium of space.